Today, scrap tyres are playing a much different role as an important part of the manufacturing process. Scrap tyre rubber is used in the manufacture of new tyres, play ground surfaces, equestrian mats and rubberized asphalt among other products. Other cutting-edge manufacturers are combining scrap tires with materials such as scrap plastic to produce flower pots, roofing tiles and auto parts. A tire is a highly engineered and extensively designed product that is meant to be virtually indestructible under a variety of conditions. Because of this, tyres were difficult to recycle, but that has changed. Tire recyclers have invested millions of dollars in technologies and equipment to recycle tires, allowing scrap tyres to play an important role in strengthening our economy and protecting our environment. 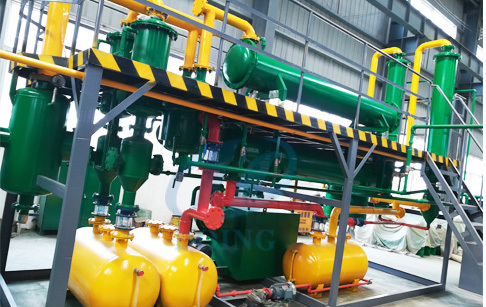 Henan Doing produced pyrolysis process of tyre to oil plant can process this tyre better ,the pyrolysis process of tyre to oil plant can pyrolysis waste tyre to fule oil ,carbon black and steel wire. Prev:What can we get from waste tires? Next:The use of tyre pyrolysis oil ? 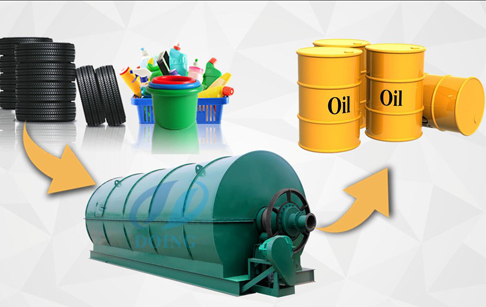 If you wanna to get more details about Pyrolysis process of tyres to oil ? you can send E-mail to market@doinggroup.com. You can consult our professional engineer and specialized sales team with leave a message in below form.We will contact with you ASAP.You also can visit our factory in Henan,China.Get Detailed address.